← Why Are Tags and Licenses Needed for Hunting Feral Pigs? 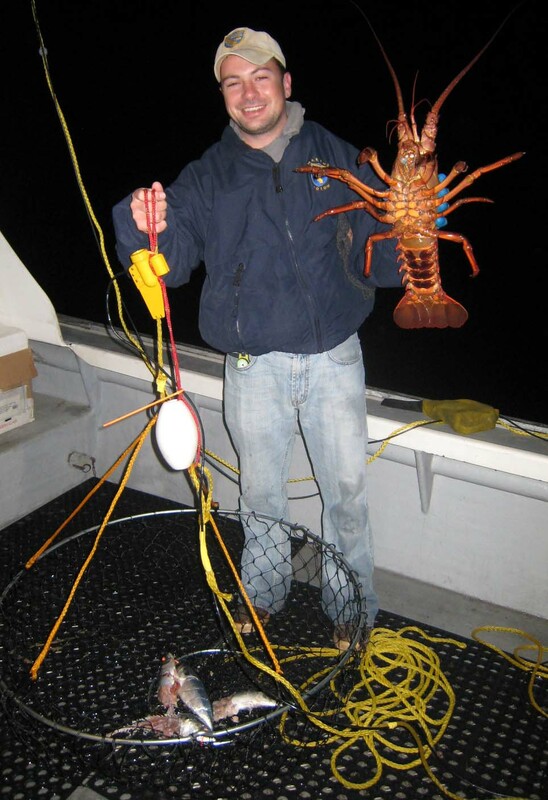 Answer: Yes, prior to this law, there was a big enforcement problem with people who were already on the shore tailing undersize lobsters before the Department of Fish and Game (DFG) could contact them to measure their catch. Because lobsters must be measured across the back of their carapace rather than the tail region, this was allowing them to get away with possessing short lobsters when the carapace and tails were separated. This is one of the reasons why this section was changed. According to DFG Lt. Eric Kord, captain of the San Diego-based patrol vessel Thresher, by the letter of the law, “prepared for immediate consumption” means cooked and on a plate ready to be eaten immediately. Or in the case of sushi, it means ready to be eaten immediately raw on a dinner plate. He advises not cleaning or tailing the lobsters for your passengers as it doing so would be a violation. If they are stopped by a game warden on the way to their car, they would be cited for illegal possession of tails under this section. Answer: Ground squirrels and marmots are “nongame” mammals under Fish and Game law. Recreational take of any nongame mammals requires hunters to possess a current hunting license. There are a few license exemptions that allow for the taking of nongame mammals that are damaging property, but in the situation you describe, a hunting license would be required. Kayak fishing with a landing net? Answer: Yes. Under DFG law, a gun is “loaded” when there is a live round in the firing chamber but not when there are rounds just in the magazine. Penal code laws are more restrictive though when you’re on a public road or in an incorporated area. This entry was posted in Firearms/Ammunition, Methods Of Take, Regulations, Transporting Taken Animals, Wild Pigs and tagged ammunition, crustaceans, firearms, invertebrates, kayaking, Licenses, lobsters, nongame mammals, ocean fishing. Bookmark the permalink. This is in regard to the hunting of migrating geese in Morro Bay. This area must be considered a protected region with no hunting at all. Too many people are out and about to have hunting proceed and also this is, or was a safe haven for the geese. Thank you.